Each New Year 45% of us resolve to make positive changes largely to improve our lives and our health. Although half of us give up on our resolutions within 6 months, studies reveal that people who make resolutions are 10 times more likely to change their behavior than those who make no resolutions at all. Of the top 10 resolutions that we make each year, losing weight is number 1 followed by getting fit, staying healthy, quitting smoking and spending more time with family. CLA by Ortho Molecular – Conjugated Linoleic Acid, an omega-3 fatty acid, is beneficial to heart and brain health and naturally aids weight loss. By speeding up fat metabolism, CLA helps reduce existing fat deposits, especially in the abdominal area. CLA also supports increased muscle tone when used in conjunction with a healthy diet and exercise. Looz-IT Raspberry Ketone by Intensive Nutrition – Each capsule contains 200 mg of pure raspberry ketone, which helps support body fat reduction, boosts the metabolism and aids in suppressing appetite. This naturally occurring organic compound inhibits dietary fat absorption and storage and helps to regulate and maintain healthier, more ideal lipid levels. Super HCA by Douglas Laboratories – One tablet provides 1,400 mg of high quality standardized Garcinia cambogia extract, which yields 840 mg of hydroxycitric acid or HCA. This natural product derived from tropical fruit helps to maintain a healthy balance of hepatic de novo lipogenesis, which mediates the conversion of glucose to fats for storage or use. Research shows that HCA also plays a role in regulation of normal appetite, which aids successful weight management. 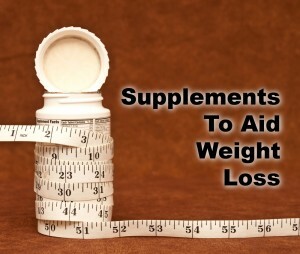 Weight Loss Support Packets by Designs for Health – Each packet contains 2 Endotrim capsules designed to support safe fat metabolism, maintenance of lean body mass, and optimal insulin levels, 2 Carnitine Synergy capsules formulated to promote optimal fat burning by the mitrochondria, and 2 CLA softgels that promote natural fat metabolism and inhibit the growth of fat cells. Sweet Trim by Brightcore Nutrition – This whole food based product combines 11 natural ingredients to support weight loss efforts including green coffee bean, raspberry ketone, African mango, cinnamon, cayenne pepper and organic sweet wheat grass. This synergistic combination supports increased energy, enhanced metabolism, appetite control, improved sleep quality and helps to curb cravings. This entry was posted in Home and tagged diet, supplements for weight loss, weight loss. Bookmark the permalink.